YouTube has enabled playback of 4K videos at 60 frames per second. 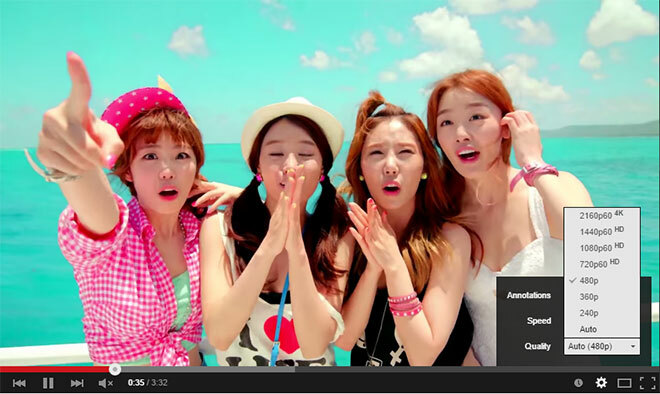 For the time being, the feature is available on just six videos, which are hand picked by YouTube staff. Mind you, to take full pleasure of the quality and smoothness of the video, you’ll have to sport a pretty capable machine and a 4K monitor to go with it. Also, currently the option to play 4K @ 60fps works only on Chrome. In case you tick all of the checkboxes, here’s the playlist of six videos. The company hasn’t specified a timeframe for a broader launch of the feature just yet.